Hi Friends! Today I am bringing you a post I am so excited to talk about. 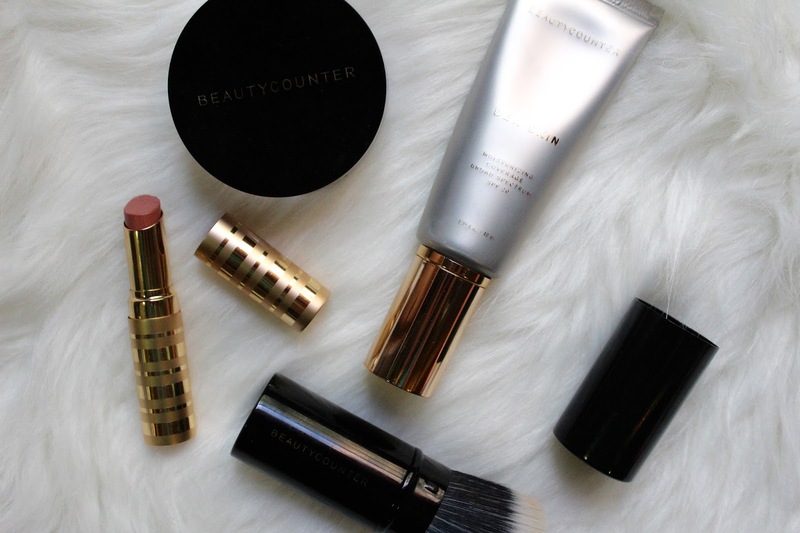 By now I am sure that you have heard something about Beautycounter on one of your social media outlets. I have heard amazing things, so when one of my sorority sisters reached out and asked me to try out some products - I jumped at the chance. I have heard so many scary things recently about what is actually in my products, I wanted to try out a brand whose mission it is to get safe products into the hands of everyone. Now I am not saying that I am going to completely overhaul my makeup/skincare closet overnight but I am definitely on the path to learning more. What I found is that all of their products are seriously amazing, beautifully packaged, with SAFE ingredients. 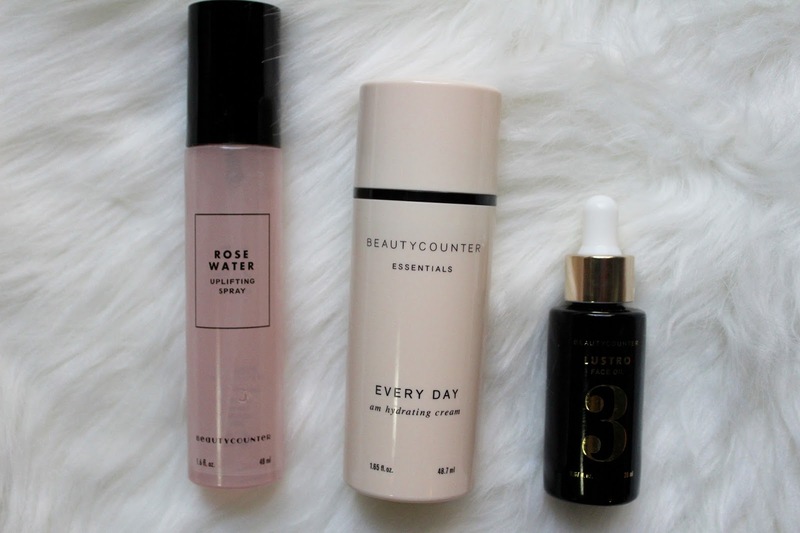 They have a rigorous process to make sure that everything in their products is safe for you and the other amazing thing about these products is that they actually work and they work really really well. 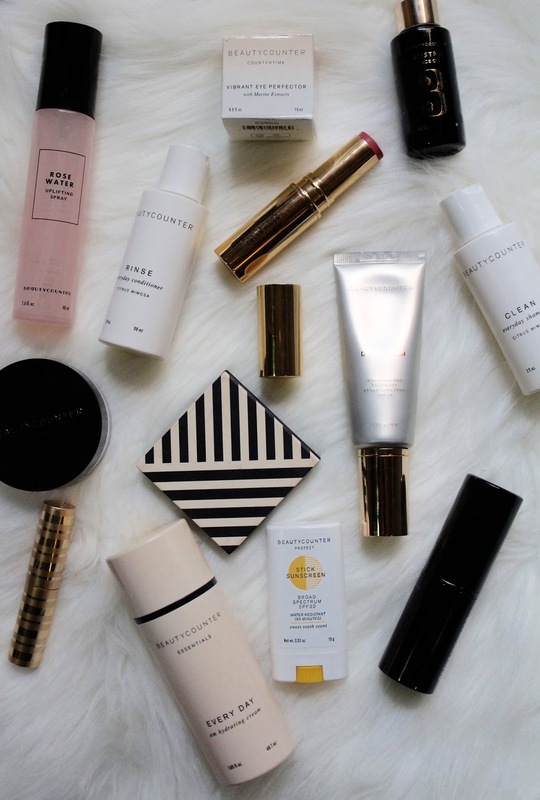 They use an extremely strict screening process, banning over 1,500 chemicals and their products still perform amazingly and are just as luxe as any lipstick, cleanser, and oil out there. Just some of the stats that you can find on their site here. Rose Water Uplifting Spray - use this when your skin needs an instant pick me up - it feels seriously amazing. AM Hydrating Cream - this moisturizer is so good and super moisturizing. 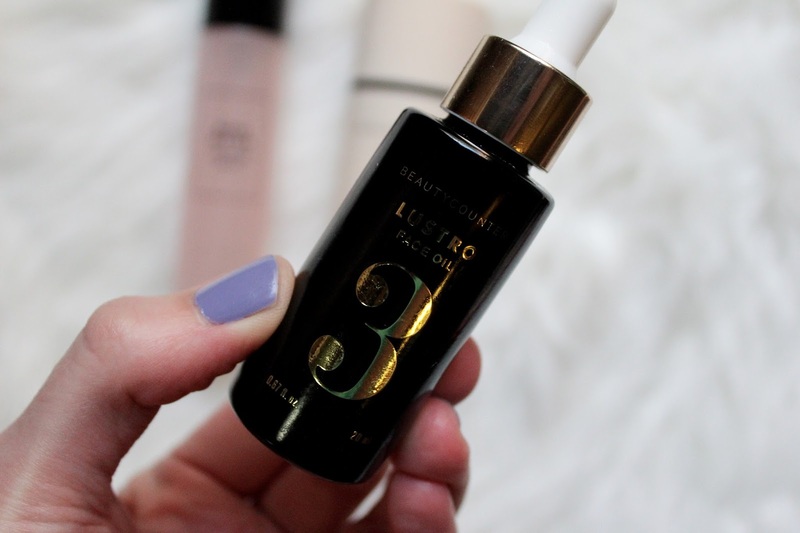 Lustro Face Oil - I am loving the way my skin feels using this face oil at night, it is really boosting my skin. 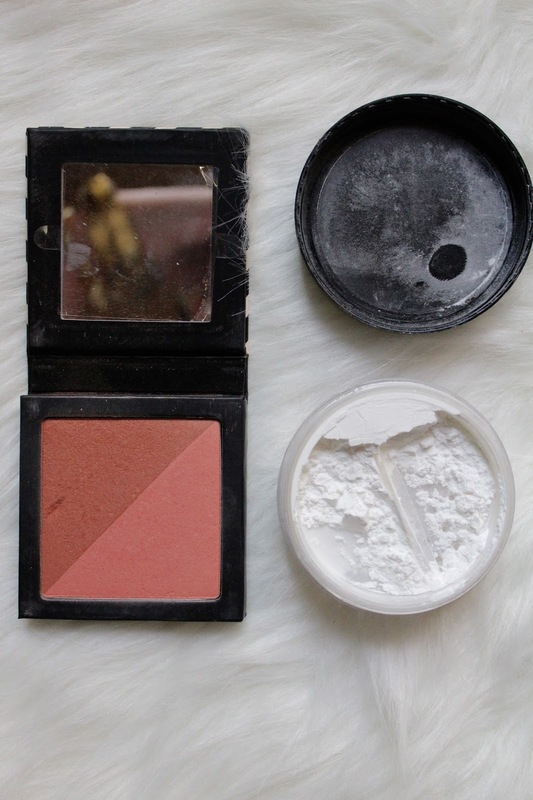 Color Sweep Blush Duo - these color combos are gorgeous. Mattify Skin Finishing Powder - this powder is just like the Bare Minerals and it is great to make sure your skin isn't oily. Color Pinch Cream Blusher - I am not normally a fan of cream blusher but this one is gorgeous and perfect for the coming summer months. Retractable Complexion Brush - this brush puts your foundation on flawlessly - I am in love with it. 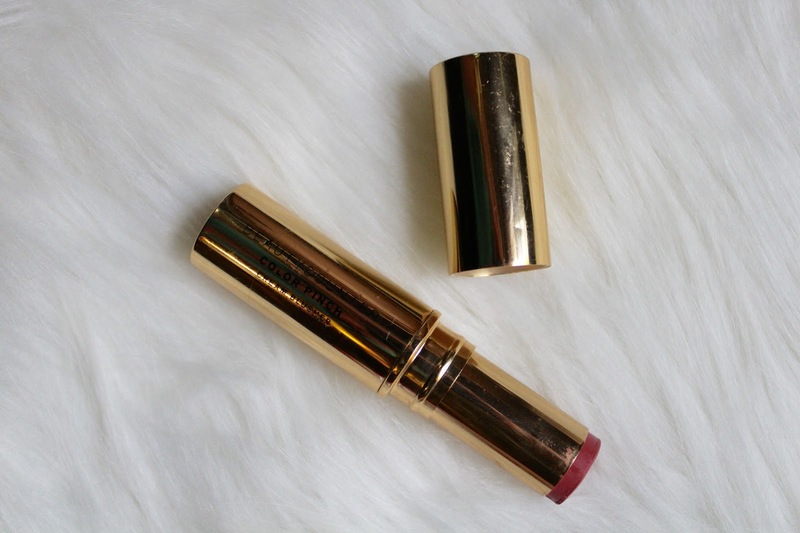 Lip Sheer in Twig - this one is a bestseller and goes on my lips so smoothly - I love this for a daily lipstick. 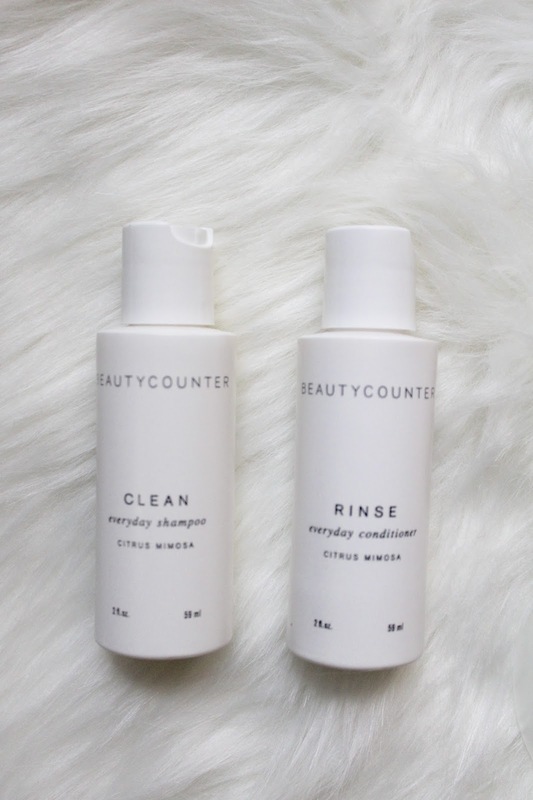 Clean Shampoo and Conditioner - these are extremely purifying and left my hair so soft. This one is another best seller. 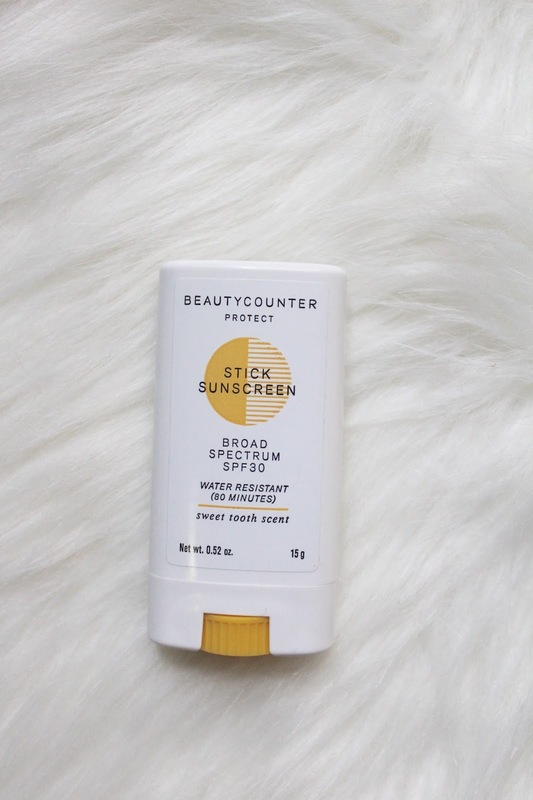 Sunscreen - this sunscreen is natural and seems to work really well - it is also super hydrating on my skin. 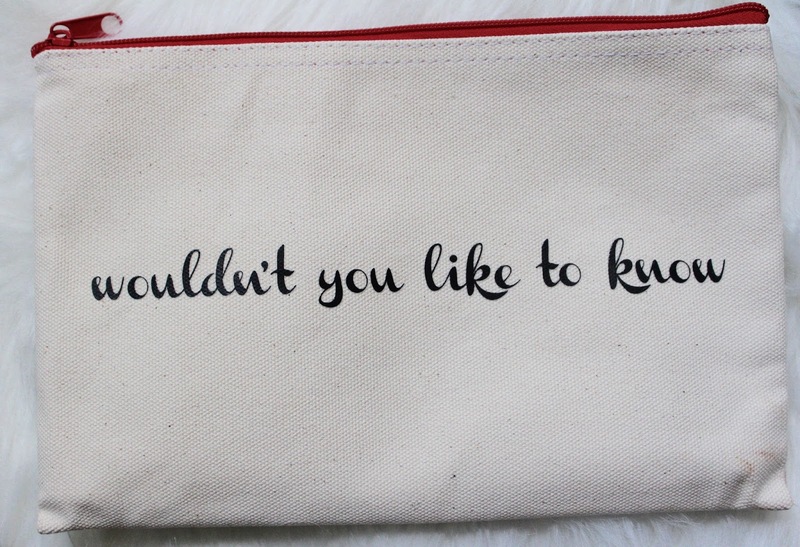 All their bags are super adorable too - check them out here. I am obsessed with everything that I have tried, my favorites have to be the Dew Skin Tinted Moisturizer which is an Allure favorite and the Vibrant Eye Perfector, and I am so excited because I am going to be giving a full size one away to one of y'all today! Let me know what you are going to try and don't forget to check out all their products here. 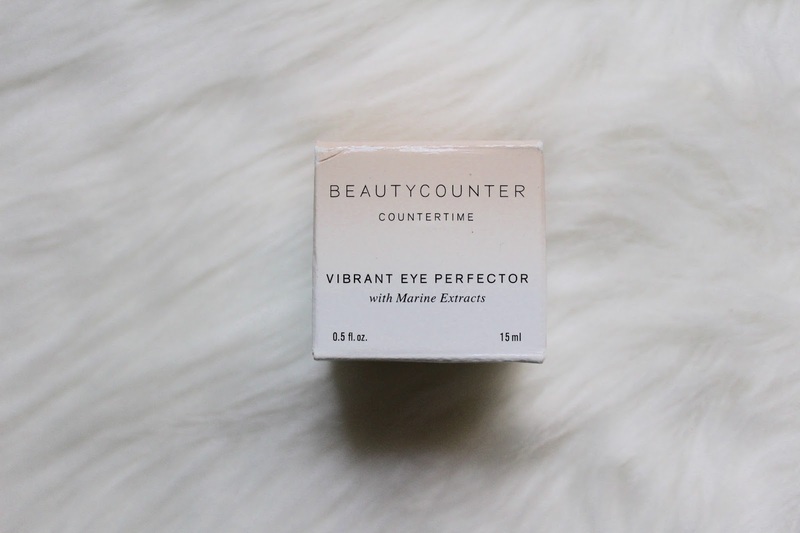 Make sure to enter to win the Vibrant Eye Perfector below. I'll have to try the rose water! Also you must try their Scarlet lipstick. Lasts forever and is a red I can actually wear. I've never found a red that works for me before! I'm testing some of these products out right now too & LOVE the shampoo & conditioner and moisturizer (and the oils too!). Okay, I just love it all so far! Hi Jolene! 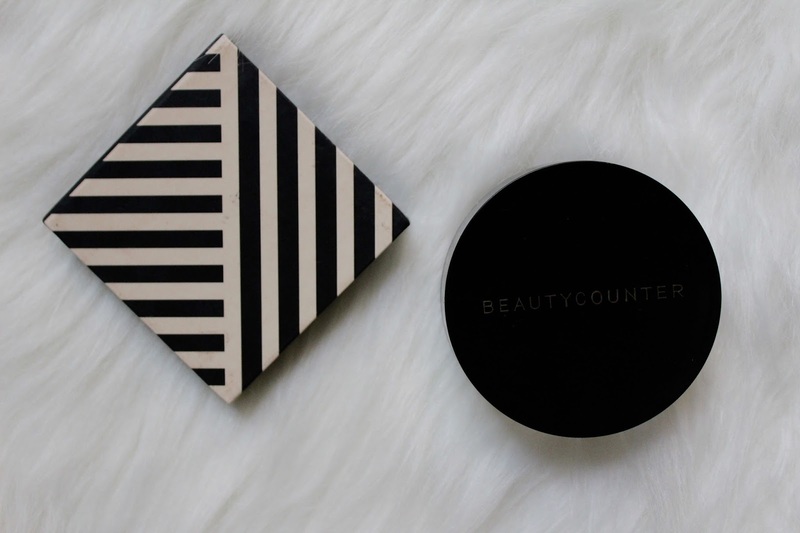 I am the Beautycounter consultant that did the collaboration blog post with "With Style and a Little Grace." I would love to help you pick out the perfect shade Dew Skin Tinted Moisturizer. 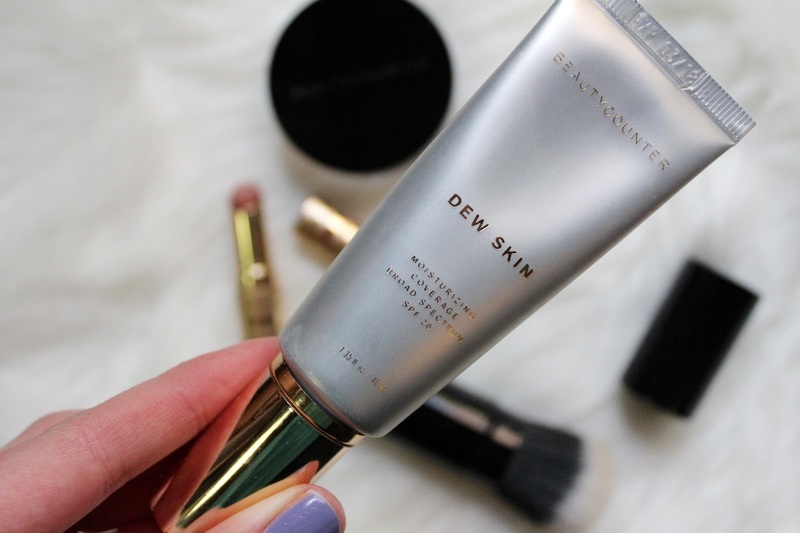 It really does give the right amount of coverage to even out skin tone and the SPF 20 is a plus:) check out my website www.beautycounter.com/drewmcknight or email me at drewemcknight@gmail.com I look forward to hearing from you!! I love their sunblock, shampoo & conditioner, they work great without the nasty fragrances that cause headaches and irritate my skin and i can feel safer without the chemicals. 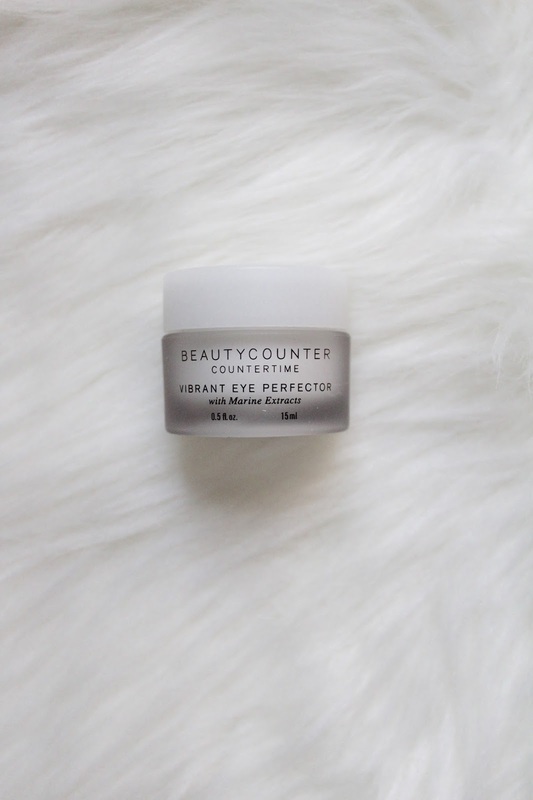 I would love to try the eye perfector.